It’s that tall skinny vegetable that’s known for making your pee smell a little funny. It’s one of my favorite vegetables, but I have to admit, before writing this I really didn’t know much about it. So I hopped over to World’s Healthiest Foods to find out more. 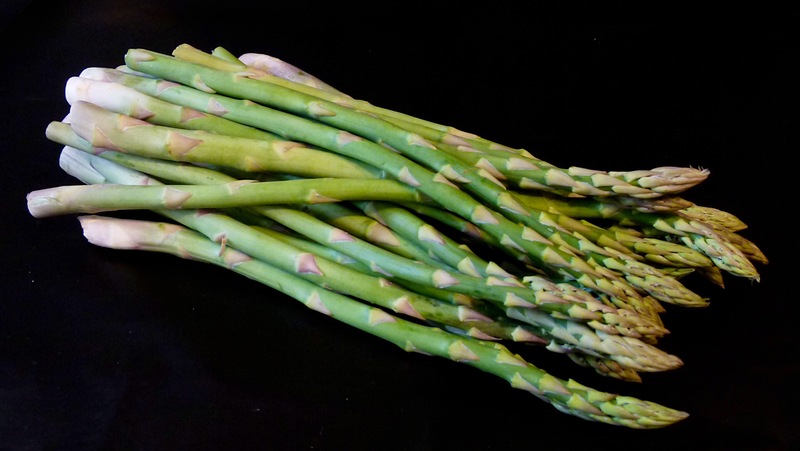 The most interesting thing I learned, was that in addition to having several beneficial vitamins and minerals, asparagus contains a substance called inulin. Inulin is a carbohydrate that is able to survive your digestive track and make it all the way to your intestines. Once there, it helps to support the good bacteria in your gut. When there’s a healthy ratio between the good and the bad bacteria, you have a happy gut, but when the bad guys take over, that’s when you can start to experience all types of health issues. The bad guys live off all the junk we eat. And the good bacteria, well one thing that promotes their well being is inulin. After suffering from UC for so long, anything the promotes a healthy gut is a winner in my book. Especially, something I love as much as asparagus. Since I made the commitment to eating healthier, one of the things I’ve been trying to do is incorporate more veggies into my diet. I’ve found that a great way to do that is by starting my day with them, so asparagus for breakfast it is. I found this recipe for an Asparagus and Leek Frittata at Epicurious. 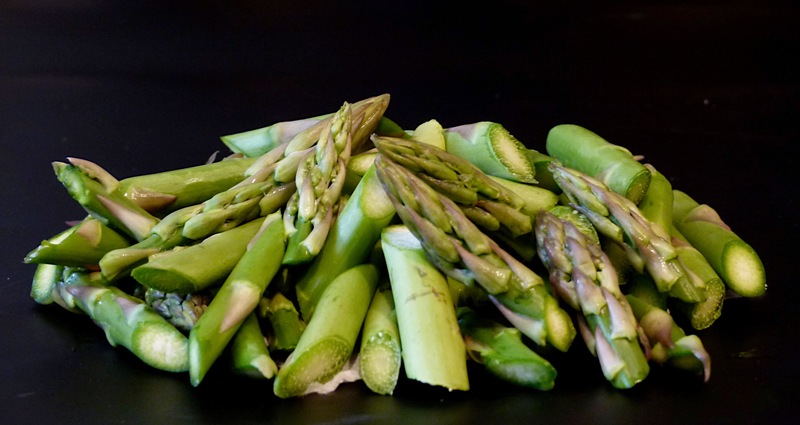 This is a perfect spring dish since both Asparagus and leeks are in season in the spring. This recipe is also vegetarian but my meat lovers can always add sausage to the frittata or serve with a side of bacon. Either way, you’ll feel good that you started your day with veggies and something that’s good for your gut. Frittatas are also an easy egg dish for those of us who aren’t skilled in the omelet flip. First, wash and cut the asparagus into 1 inch pieces, removing the tough bottom parts. Next, wash your leeks then cut all the beautiful green parts off, so all you’re left with is the light green and white section. 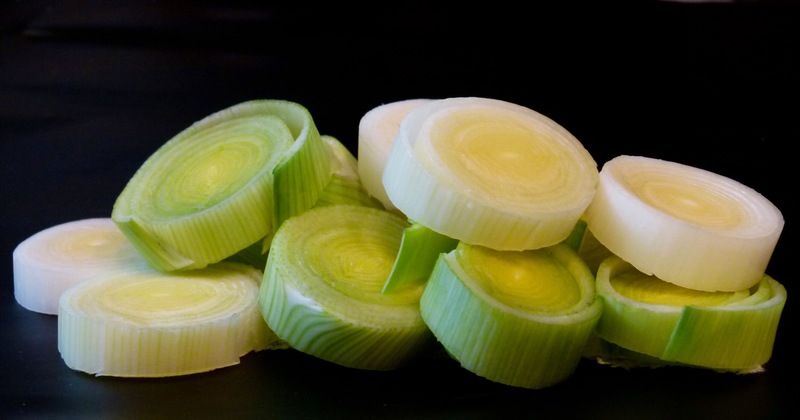 If you’ve never cooked with leeks before, make sure you pull off at least one of the outer layers. Leeks are grown partially under dirt, so it’s very common to find dirt trapped between the outer layers and no one wants dirt in their frittata. I adjusted the recipe slightly. I added garlic because I love garlic but decided to skip the mushrooms since I’ve never been a fan of them. I also threw in some sundried tomatoes because of the mild sweetness they add. Let the butter heat up, then add the asparagus, leeks, garlic and tomatoes, and season to taste with a little salt and pepper. As a side note: I sampled the sautéed mixture before I added the eggs and cheese and I liked it so much I ended up cooking it (minus the tomatoes) for dinner as a side dish later that week. It went perfectly with Chicken Parmesan. Once the veggies have cooked for a few minutes, add the egg and cheese mixture to them. Before your eggs completely set, sprinkle some more Parmesean and Fontina cheese on top and stick the pan in your pre-heated oven. Your fritatta only needs a few minutes in the oven. You’ll know it’s done when the cheese on top has melted and starts to turn golden and when the eggs puff slightly. When it’s done, it’ll be time to enjoy a dish featuring what’s in season, asparagus. 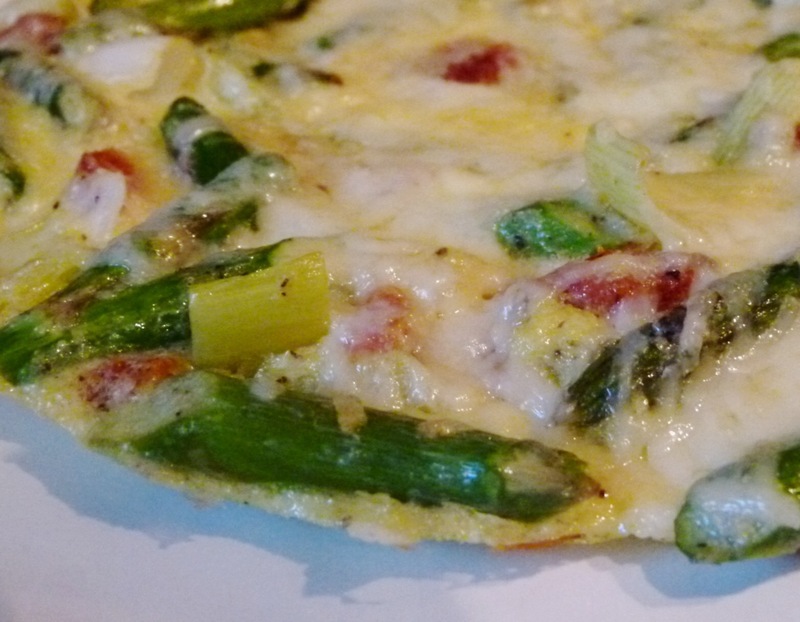 This entry was posted in Recipes and tagged asparagus, breakfast, cheese, eggs, frittata, healthy gut, inulin, leeks, recipe, vegetarian, veggies, what's in season by greedygirlinlv. Bookmark the permalink.